Do you want to learn Docker FOR FREE OF COST? Yes, you read it correct. 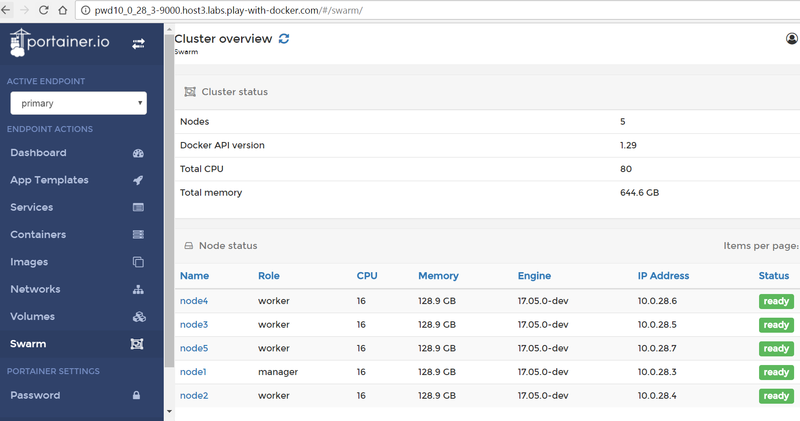 Thanks to a playground called “play-with-docker” – PWD in short. 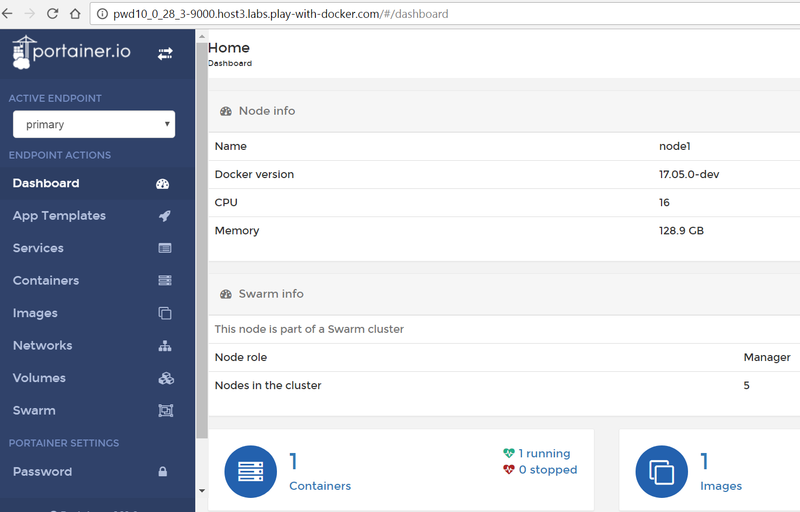 PWD is a website which allows you to create 5 instances to play around with Docker & Docker Swarm Mode for 4 hours – all for $0 cost. It is a perfect tool for demos, Meetups, beginners & advanced level training. I tested it on number of web browsers like Chrome, Safari, Firefox and IE and it just works flawlessly. You don’t need to install Docker as it comes by default. It’s ready-to-use platform. 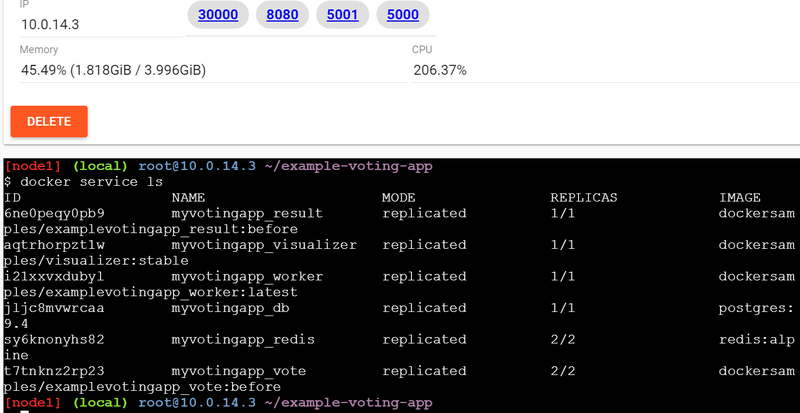 Currently, PWD is hosted on AWS instance type 2x r3.4xlarge having 16 cores and 120GB of RAM. It comes with the latest Docker 17.05 release, docker-compose 1.11.1 & docker-machine 0.9.0-rc1. You can setup your own PWD environment in your lab using this repository. Credits to Docker Captain – Marcos Nils & Jonathan Leibuisky for building this amazing tool for Docker Community. But one of the most interesting fact about PWD is its based on DIND (Docker-in-a-Docker) concept. 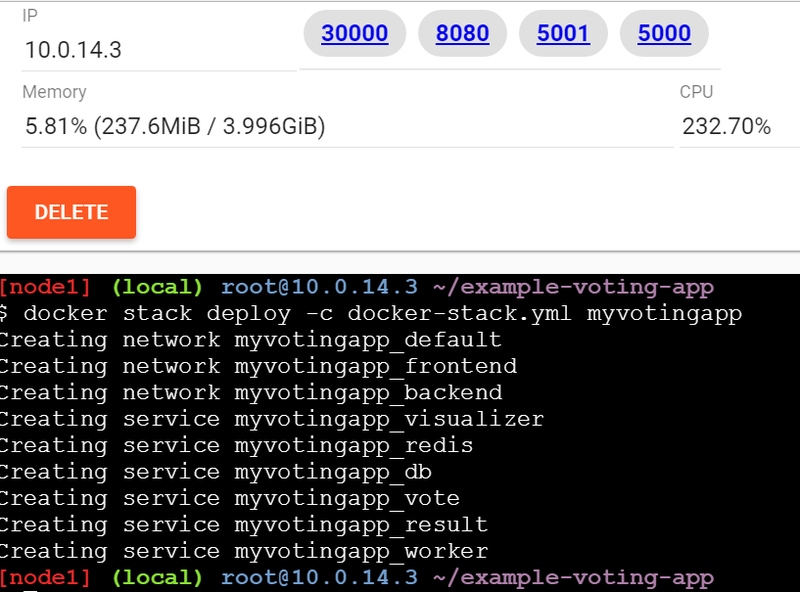 When you are playing around with PWD instances & building application stack, you are actually inside Docker container itself. Interesting, isn’t it? PWD gives you an amazing experience of having a free Alpine Linux 3.5 Virtual Machine in the cloud where you can build and run Docker containers and even create Multi-Node Swarm Mode Cluster. Said that, PWD is NOT just a platform for beginners. Today, it has matured enough to run sophisticated application stack on top of it. 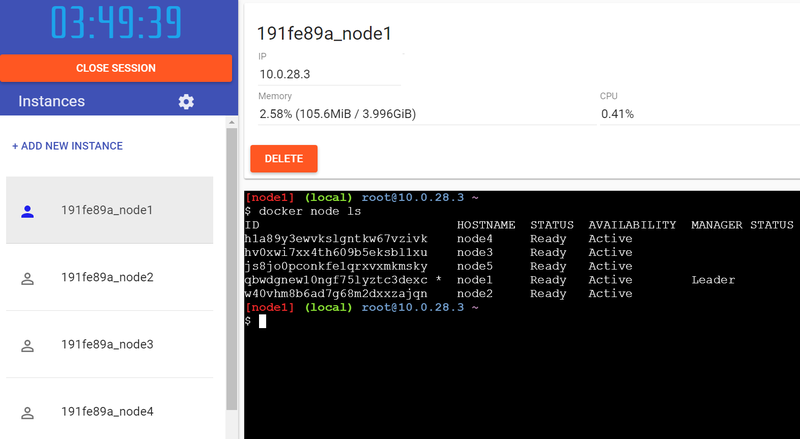 Within seconds of time, you can setup Swarm Mode cluster running application stack.Please remember that PWD is just for trying out new stuffs with Docker and its application and NOT to be used for production environment. The instances will vanish after 4:00 hours automatically. The moment Portainer service gets started, PWD displays 9000 port which Portainer works on as shown. You can click on this port number to directly open the Management UI. This opens up a fancy UI which displays lots of management features related to image, container, swarm, network, volumes etc. I faced the issue related to Webpack::Rails::Manifest::ManifestLoadError which I got it fixed within few minutes. 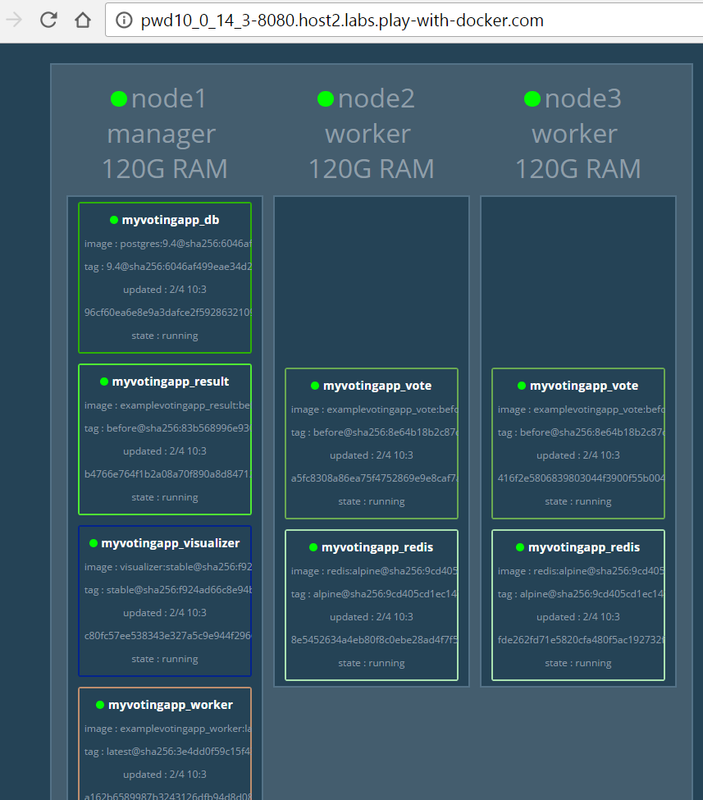 You now have control over Docker registry using this fancy UI. You can create Users, Organization for your development team and push/pull Docker images privately. 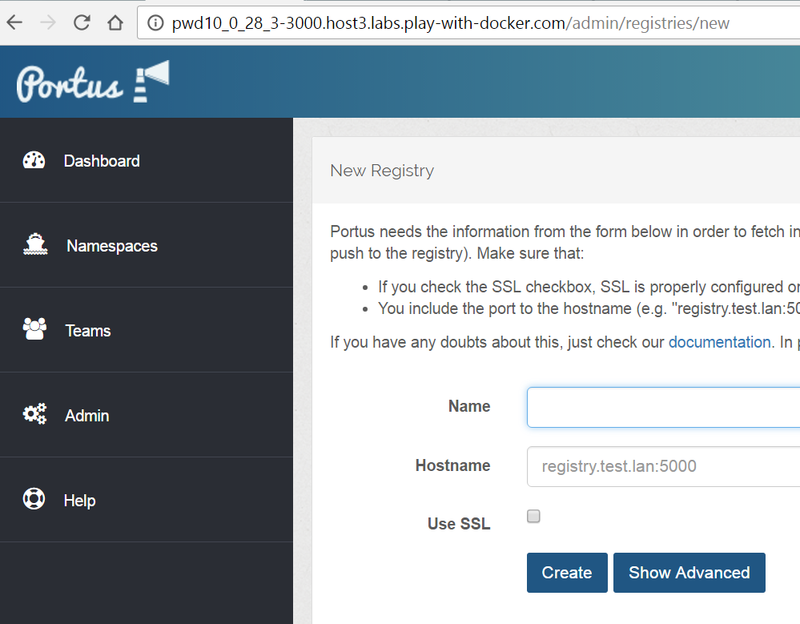 Hence, you can now open up Portainer and provide Portus as a local Docker registry instead of standard Docker registry. 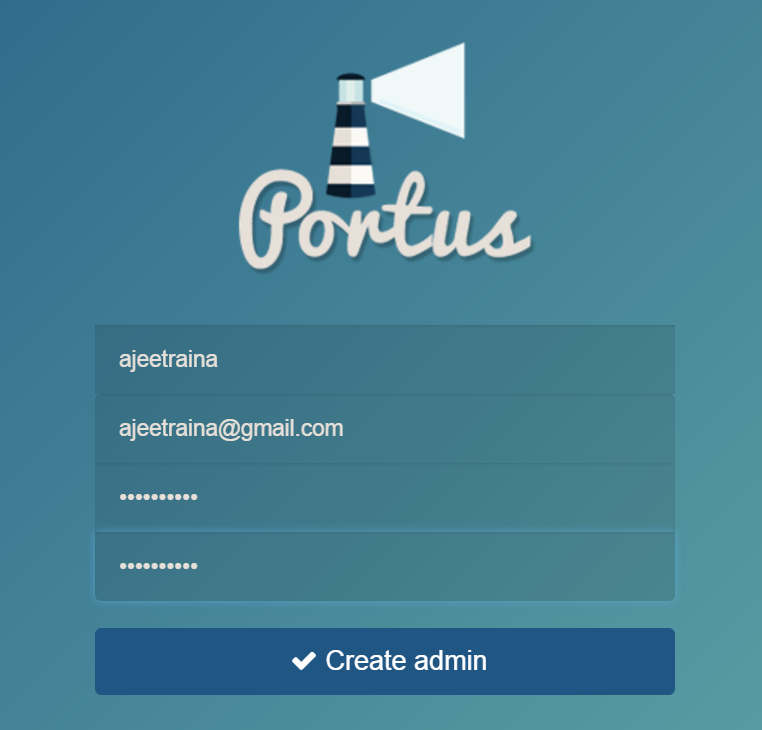 This makes Portainer & Portus work together flawlessly. 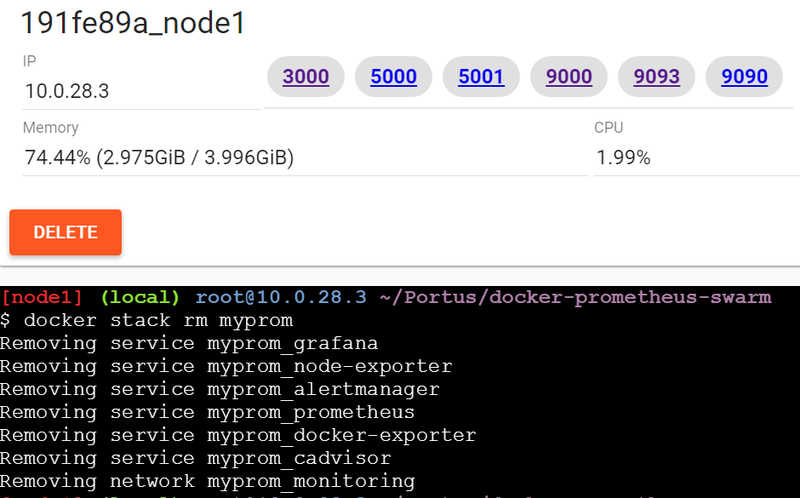 Prometheus is an open-source systems monitoring and alerting toolkit. Most Prometheus components are written in Go while some written in Java, Python, and Ruby. It is designed for capturing high dimensional data. It is designed to be used for monitoring. On the other hand, ELK is a general-purpose NOSQL stack that is also very popular for monitoring and Logging. That’s it. Your Prometheus, Grafana & cadvisor for ELK stack is ready to be used. In the next series of this blog post, I am going to cover on other 2 application stacks – CloudYuga RSVP & WordPress Web Application. If you are looking out for contribution, join me at Docker Community Slack Channel.